The true story of one man's reluctant but relentless war against the invaders of his country.A quiet, wealthy plantation owner, Jack Hinson watched the start of the Civil War with disinterest. 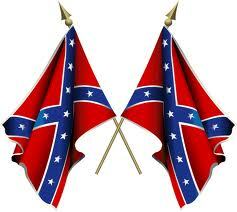 Opposed to secession and a friend to Union and Confederate commanders alike, he did not want a war. After Union soldiers seized and murdered his sons, placing their decapitated heads on the gateposts of his estate, Hinson could remain indifferent no longer. He commissioned a special rifle for long-range accuracy, he took to the woods, and he set out for revenge. This remarkable biography presents the story of Jack Hinson, a lone Confederate sniper who, at the age of 57, waged a personal war on Grant's army and navy. The result of 15 years of scholarship, this meticulously researched and beautifully written work is the only account of Hinson's life ever recorded and involves an unbelievable cast of characters, including the Earp brothers, Jesse James, and Nathan Bedford Forrest. A quiet, unassuming, and wealthy plantation owner, Jack Hinson was focused on his family life and seasonal plantings when the Civil War started to permeate the isolated valleys of the Kentucky-Tennessee border area where he lived. He was uniquely neutral--friend to both Confederate and Union generals--and his family exemplified the genteel, educated, gracious, and hardworking qualities highly valued in their society. By the winter of 1862, the Hinsons' happy way of life would change forever. Jack Hinson's neutrality was shattered the day Union patrols moved in on his land, captured two of his sons, accused them of being bushwhackers, and executed them on the roadside. The soldiers furthered the abuse by decapitating the Hinson boys and placing their heads on the gateposts of the family estate. The Civil War, now literally on Hinson's doorstep, had become painfully personal, and he could remain dispassionate no longer. He commissioned a special rifle, a heavy-barreled .50-caliber weapon designed for long-range accuracy. He said goodbye to his family, and he took to the wilderness seeking revenge. Hinson, nearly sixty years of age, alone, and without formal military training, soon became a deadly threat to the Union. A Confederate sniper, he made history after single-handedly bringing down an armed Union transport and serving as a scout for Nathan Bedford Forrest. A tenacious and elusive figure, Hinson likely killed more than one hundred Union soldiers, recording the confirmed deaths on the barrel of his rifle with precision. Despite the numbers of men sent to kill him, Hinson evaded all capture, and like his footsteps through the Kentucky and Tennessee underbrush, his story has been shrouded in silence--until now. The result of fifteen years of research, this remarkable biography presents the never-before-told history of Jack Hinson, his savage war on his country, and the brutal cost of vengeance and war. 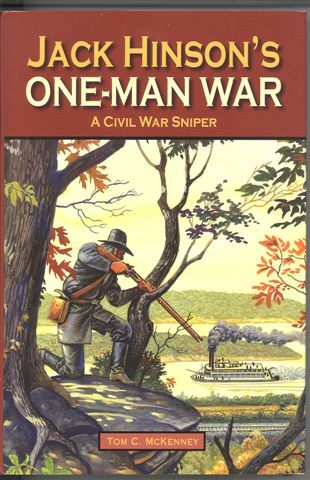 In his new book, Jack Hinson's One Man War: A Civil War Sniper, author Lt Col Tom C McKenney, USMC retired, writes a new chapter on the subject of Civil War snipers and on a little known Confederate sniper in particular. Snipers in the American Civil War included Berdan's famous US Sharpshooters, Yankee "California Joe" Head and remarkable Confederate snipers such as Berry Benson who took such notables as Gen. "Uncle John" Sedgwick from over 800 yards at Spotsylvania Courthouse. The chapter of history with Jack Hinson's name on it has finally been told by this new book. "Old Jack" Hinson was a quiet plantation owner and tobacco farmer who tried to stay neutral in the War. His situation spiraled rapidly out of control and the farmer, nearly sixty years of age, was labeled a southern sympathizer and criminal by association. The book begins with some 150 pages of foreshadowing that included much detailed information on the early war in West Tennessee including the Battle of Ft Pillow and the humiliating surrender at Ft Donelson in which Mr. Hinson had an unsung part in. This story continues throughout the Civil War and explains how, after the death and humiliation of Hinson's family and destruction of his home, he waged a one man guerilla war from the high bluffs of the Twin Rivers tributaries on the Army and Navy of General Grant. McKenney relates in great detail how Hinson had a special purpose plainly finished .50 caliber (12.7mm) Kentucky jager rifle made to his own specifications. The rifle had an octagonal 41-inch barrel combined with a maple stock weighed in at a total of 18 pounds. Its weight meant it needed to be braced on a limb or stump to achieve accurate long range fire out to and beyond 500 meters with iron sights. Today Hinson's remarkable rifle remains in the ownership of decedents of Major Charles W Anderson, General Forrest's friend and adjutant during the Civil War. The author made contact with the family and inspected the rifle complete with at least two sets of `kill' marks cut into its iron barrel. McKenny goes on to describe Hinson's further use of this weapon to snipe up to a hundred Union soldiers and sailors. Hinson's favorite targets were bluecoat cavalrymen of the Fifth Iowa Cavalry Regiment (Curtis Horse) who had take part in the punitive deaths of his teenage sons and officers of US gunboats plying the river below his cave on the river bluffs. Among Hinson's amazing war record the author chronicles his other efforts as a scout and guide to Confederate cavalry General Nathan Bedford Forrest and how now `Captain Jack" forced a Union gunboat to surrender to a single sniper. The book is particularly useful for its detailed examination of the often ignored conflict that took place in Western Kentucky and Tennessee as well as of course providing an amazing interpretation of Civil War sniper Jack Hinson. It is available from Pelican Publications.